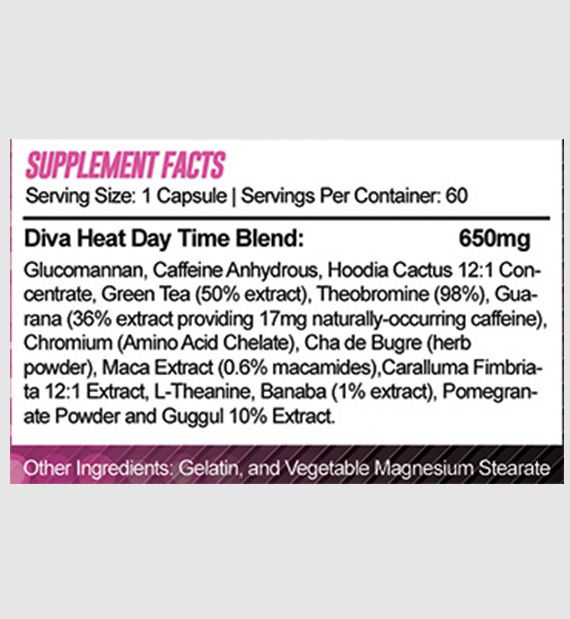 Diva Heat Day Time Formula was designed to heighten energy levels just enough to give you a nice boost but not enough to give you that uncomfortable jittery feeling. 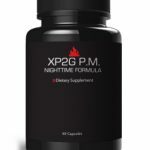 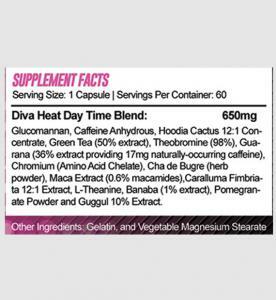 Diva Heat Daytime also increases your metabolic rate and helps mobilize fat to be efficiently used as energy. 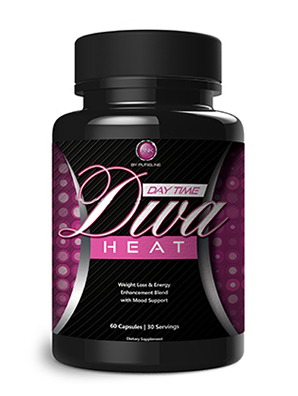 Diva Heat Daytime also helps you control sugar and carbohydrate cravings throughout the day adding to your weight loss efforts!